Edit: If you enlarge the photo and look at the reflection you can see what is almost certainly the new Megabyte who looks kinda neat to be honest. 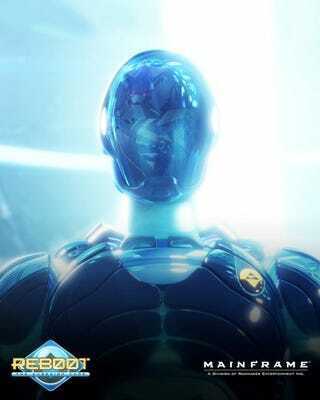 It seems that Corus Entertainment has officially Green Lit the previously announced ReBoot reboot as ReBoot: The Guardian Code. As somebody who grew up in Canada during the 1990’s ReBoot was one of the best TV shows around with memorable heroes, villains, and a surprisingly deep story especially for early 1990’s children programing. Beyond that it holds the title as the first fully CG animated TV show in history meaning every Pixar, Dreamworks, and Disney film owes at least something to this show.